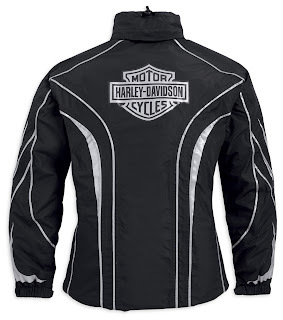 MILWAUKEE – Stay dry and visible from nearly every angle with the new women's Illumination 360° Rain Suit (P/N 98257-13VW, starting at $275) from the Harley-Davidson® MotorClothes® line. Both the jacket and pants are constructed from tough, waterproof 100 percent ripstop polyester with extensive 3M™ Scotchlite™ Reflective Material for exclusive 360-degree Enhanced Visibility in low light conditions. 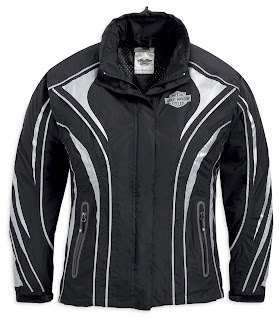 The jacket has bungee cords and toggles on the waist and zip-off hood. 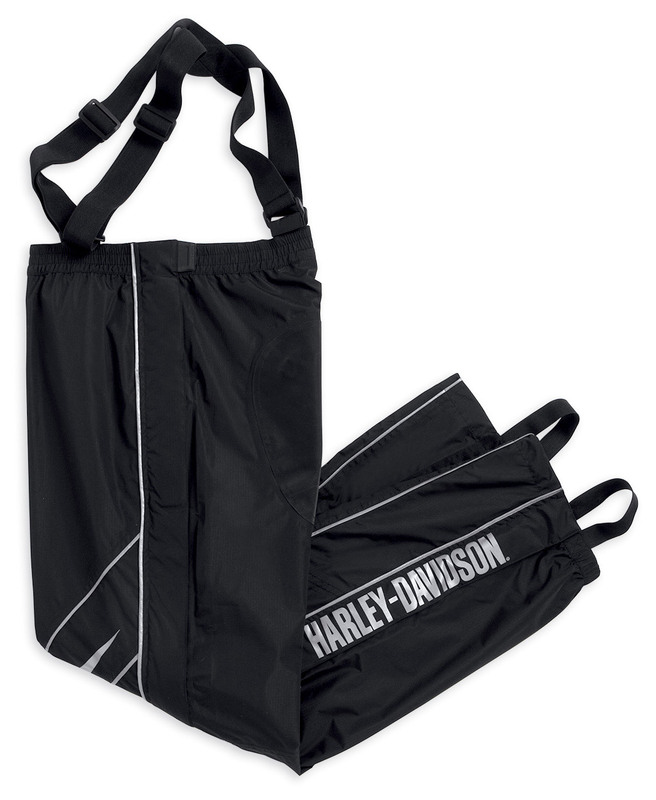 The pants include rear-end anti-slip traction technology, heat-resistant shields on the lower inner legs, plus full-leg zippers with hook-and-loop storm flaps. Both pack conveniently in an included storage bag. Available in XS - 3W sizes. The Illumination 360° Rain Suit is available now at most Harley-Davidson dealerships.